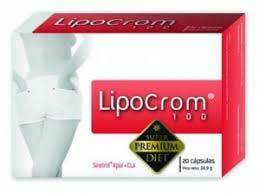 Lipocrom 100 is a fat burning diet pill created by Grupo NC Salud. The company distributes the product under the Super Premium Diet brand name and has set up a website to market the product. Unfortunately the site does not provide much information about Lipocrom 100 or how it works and third-party sites that are selling the product are equally lacking in details and specifics. However, on a more positive note, Grupo NC Salud stresses the importance of making healthy food choices and getting plenty of exercise, so the product is, at least, marketed in a responsible way. Positives: Good ingredient profile and made by a highly respectable company. 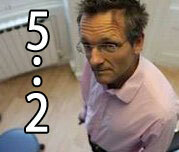 Negatives: It is our opinion that there are more effective diet products on the market. Usage Guidelines – One capsule should be taken during breakfast. A second is required with lunch. Sinetrol: A patented ingredient developed in France by Fytexi. It contains a blend of Mediterranean citrus, blood orange, sweet orange, and grapefruit. According to the Fytexia website, the individuals involved in one clinical trial achieved an average weight loss of 5.6kg in three months. That sounds good, but important details are missing, such as who conducted the study and where. 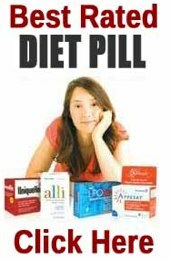 Chromium Picolinate: A popular diet pill inclusion, chromium has been added here to help regulate the metabolism of sugars. Chromium is known to have this ability and has been studied for its value as complimentary therapy for type 2 diabetes. Guarana: A berry extract that is known to be a potent source of caffeine. The energy boosting powers of caffeine have allowed it to become a key ingredient in many brands of energy drink. Caffeine is also a proven fat burner, so it’s highly regarded as a diet pill ingredient. Safflower Oil (80% CLA): Safflower oil is rich in conjugated linoleic acid (CLA), which is alleged to be both a fat burner and a muscle mass improver. Many studies support these claims, many do not, so CLA’s potential as a weight loss provider is questionable. Lipocrom won’t be a good option for anyone who does not tolerate caffeine well. It will be equally unsuitable for women who are pregnant or nursing a child. People with existing health problems are advised to consult with their doctor prior to commencing supplementation. The same advice is offered to potential users who are taking medication or planning to use Lipocrom alongside other supplements. Lipocrom can be purchased via many online stores, including MercaFarma and FarmaVazquez, and the price per box can range from 16 € to 28 €. A box only contains 20 capsules, so it will only be good for 10 days. Customer paying higher prices will need to bear this in mind. Lipocrom does not have a money back guarantee. The Lipocrom 100 formulation has theoretical potential, but some customer reviews suggest it may not work. Admittedly, a lot of people are praising the product, but it could be they actually lost weight via diet and exercise. No weight and ratio specifics are available for any of the ingredients, so even the most trusted ones, such as guarana and chromium, could be being held back by insufficient inclusion rates. This can be quite an expensive product to buy and there is no money back guarantee. It may be worth buying Lipocrom if you like a bit of gamble, but if you don’t like taking chances with your money, or hate the idea of wasting time on a product that might not work, you may want to try something else instead.